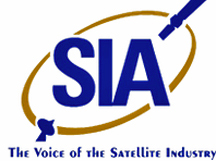 The Satellite Industry Association has announced that Integrasys LLC has joined SIA. Integrasys LLC specializes in the engineering and manufacturing of innovative satellite spectrum monitoring systems and VSAT network deployment for the government market. The Company is based in Herndon, Virginia, and is owned by Integrasys SA of Spain. The parent company was founded in 1990 and recently announced that it expects to focus on growth in various regions around the world, especially in the U.S. market, with new offices to support a growing customer base. Tom Stroup, President of SIA, said the organization is pleased to announce that Integrasys has joined the Satellite Industry Association’s growing list of affiliate member companies. 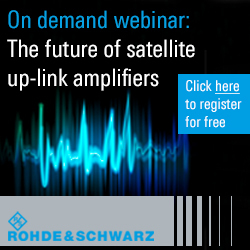 As new innovative HTS and LEO satellite capabilities emerge to support broadcast, global connectivity, IoT, remote imaging and other applications, the need for high quality, reliable network monitoring systems also expands. Integrasys is a leader in just such monitoring systems, especially for interference detection and mitigation, and they are a welcome addition to the Association. Alvaro Sanchez, CEO of Integrasys, added that the company is delighted to join SIA, as the firm's goals are aligning and every day Integrasys LLC is in a stronger position to serve the U.S. government. Integrasys systems today are ready to support LEO, MEO and GEO HTS; therefore, the company notes that SIA members can appreciate the firm's four time Technology Innovation awarded signal monitoring capabilities. Affiliate membership in SIA is open to satellite companies as well as supporting entities that advocate and promote the domestic commercial satellite industry. SIA Affiliate Members receive a number of benefits including attendance at SIA’s Annual Association Meeting, participation in all open SIA meetings and most events (excluding the SIA Leadership Dinner) and SIA Member discounts to industry events.